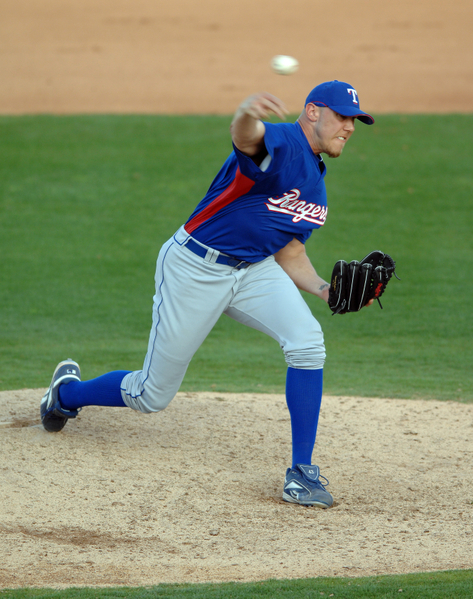 Veteran relief pitcher Kameron Loe has always been the type of guy who gets noticed. When you’re 6 feet 8 and 245 pounds with a martial arts background and known to keep a boa constrictor as a pet, most people see you coming. And yet, Loe, 31, part of a Milwaukee Brewers bullpen that came within two victories of a World Series berth in 2011, nearly sneaked through the entire winter without getting picked up as a free agent. That is, until the Mariners, having shored up their starting rotation late last week, jumped at the chance to add needed bullpen experience from the right side. Loe is on a minor-league deal for now, but the Mariners — having freed room by jettisoning Shawn Kelley and his $935,000 salary via trade — won’t hesitate to add Loe to their bullpen if he shows something this spring. The Mariners have Oliver Perez, 31, to work the eighth inning, but he’s left-handed. Josh Kinney, 33, did some setup work from the right side late last season, but he’s appeared in only 93 big-league games since his 2006 debut. The only other right-handers to bridge the gap to closer Tom Wilhelmsen are 100 mph flamethrowers Carter Capps and Stephen Pryor, but both have barely gotten their feet wet in the majors. Mariners manager Eric Wedge said that once the team addressed its rotation last week by adding Joe Saunders and nonroster invite Jon Garland, focus shifted to the bullpen. It wasn’t a coincidence Seattle’s talks with Loe’s agent got serious right around the time a decision was made to designate Kelley for assignment. That youth isn’t necessarily an issue yet, but Wedge said it’s something the team needs to prepare for. Enter Loe, a side-arming sinkerballer who still harbors ideas about becoming a starting pitcher again, something he hasn’t done in the majors since 2007 with the Texas Rangers. Regardless of how he’s used, Loe knows he has to do something about his career-long struggle against left-handed batters, who pounded him for a .307 batting average last year. His sinker runs away from lefties, so it’s largely ineffective. Loe is instead working on making his change-up more consistent and plans to challenge lefties inside with his fastball more. “I think that will be the equalizer for me,” he said. When he doesn’t do it, the results can be disastrous. 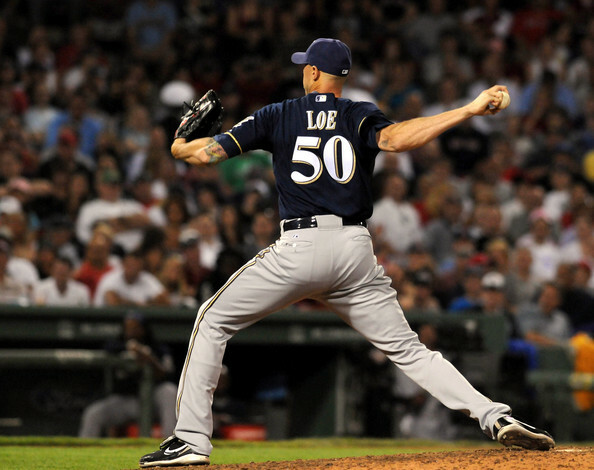 Loe was lit up for a 10.45 earned-run average his final 13 outings last September as he battled a broken toe and general arm fatigue, leading to the Brewers eventually releasing him. For now, Wedge views Loe strictly as a bullpen guy. He wants to see more of the pitcher known for generating an above-average number of swings and misses with his lower arm slot. 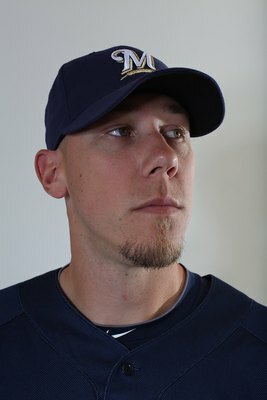 Loe still was trying to be a starter again in 2009 when he left for Japan to play for the Fukuoka SoftBank Hawks. That decision led to Loe parting ways with a longtime “roommate” even more imposing than he was — a 7-foot boa constrictor named Angel. He’d received her for his 19th birthday after a childhood spent collecting snakes, lizards and frogs in California’s Simi Valley. Angel wound up living with Loe and former Rangers teammate C.J. Wilson at a condominium they shared in Dallas, where they’d bring her a live rat to eat once a week. Loe would even bring Angel into the clubhouse. But he, reluctantly, had to put her up for adoption when he went to play overseas. In the end, that Hawks gig lasted just five starts after Loe was shelled and relegated to the Japanese minor leagues. 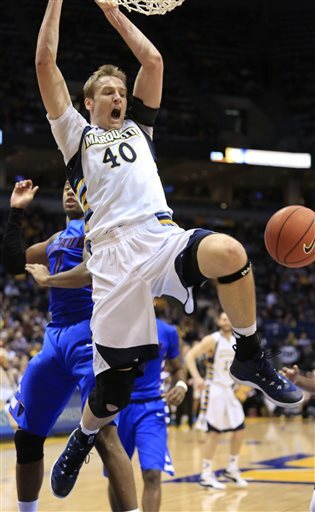 But he got another shot back in the U.S. when the Brewers made him a nonroster invite to camp in 2010. Loe actually started for two months in Class AAA and compiled a 4-3 record a 3.16 ERA in 10 outings. “I was going pretty deep into games,” he said. But the Brewers needed bullpen help and called Loe up. 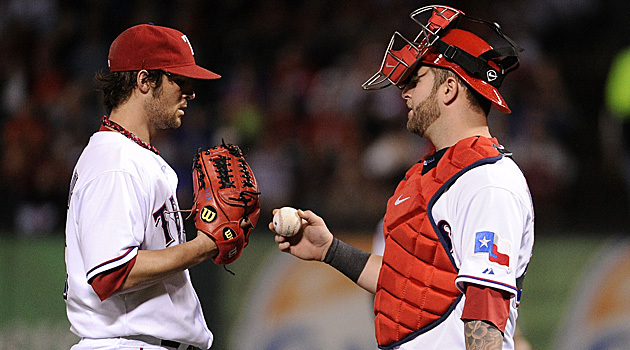 He held opponents to a 2.78 ERA over 56 outings in his first big-league stint in three years. He’s stayed in the majors as a reliever ever since, picking up some new pets along the way. He found a tarantula in the backyard of his Scottsdale, Ariz., home last October. “I kept him for 10 days but he wasn’t eating, so I had to let him go,” he said. For now, it’s just his bulldog, Roxy, living with him and his wife, Nikki, and daughter, Ayla. Loe says his pets have always been gentle. But the huge mixed martial arts fan looks like he could handle some animals gone wild, spending his spare time practicing Muy Thai kickboxing. He’ll need it to translate better than it did in the final month of last season. But if Loe can show the Mariners something this spring, they’ll likely choose to see a lot more. CBS 58 Sports Intern Donnie Dwyer covers the highlights from Brewers Spring Training, Bucks win against the Wizards, the Admirals hockey brawl, and the Masters look ahead on our station. Check it out, it’s a good one. It’s that time of year baseball fans, Opening Day. Just gotta love the smell of hot dogs, beer, and EXCITEMENT. Well in this case if you are a New York Mets fans. The Mets have been known as a franchise on the decline ever since they moved into their new stadium Citi Field in 2009. 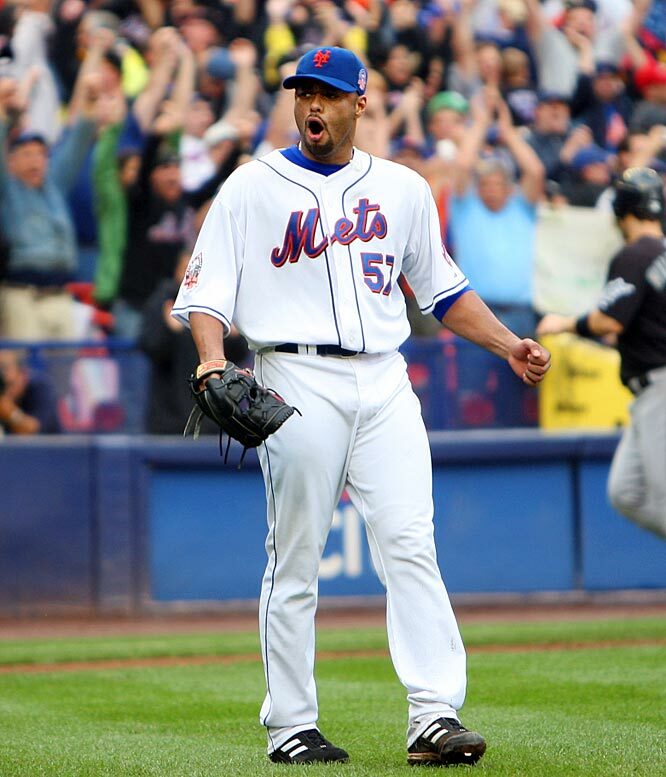 This year for the Mets will be a new year of excitement because of the youth but especially the return of Johan Santana, the ace of the New York Mets and potential CY Young candidate ever single year. After throwing an intensive bullpen session Saturday, Santana told Collins: “You’ve got your pitcher for Thursday.” Still, Collins waited until a Sunday morning meeting with pitchers to affirm the rotation order. R.A. Dickey will start Game 2, followed by Jon Niese, Mike Pelfrey and Dillon Gee. Santana has thrown no more than 88 pitches in any Grapefruit League game, and Collins said the southpaw likely would not exceed 95 pitches in April. At least six of Santana’s first seven starts will be on an extra day of rest because of team off-days. Now that the pitching is getting some depth. The keys to that rotation in case of injury will be Miguel Batista, who is listed as the long reliever, on the opening day roster and Chris Young who just signed a minor league deal with the Mets a few weeks ago. Last year, Young went 1-0 with a 1.88 ERA in 4 starts for the Mets against big teams including the Phillies. 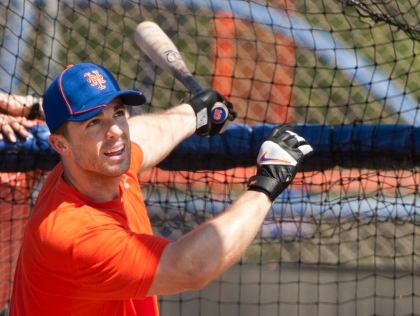 If he can get back to last years form, the Mets might have a shot at the Wild Card this season. 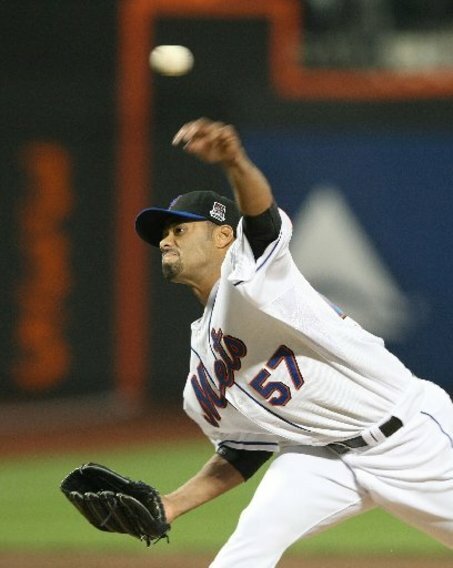 Overall, I really like what the Mets have this season and I think Johan Santana will pitch 200 innings and he will win 15 games this season. You may be saying to yourself, this kid is crazy??? Well, the reason is because Johan has changed his delivery. 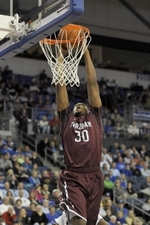 He will be using more of his shoulder than his elbow this year with a more upright stance. While that may lose a lot of velocity, it also gives him a chance to use a lot of other pitches and make that change up even better. Not only that, but when Terry Collins said Johan’s shoulder is pure muscle when camp started, I believed him. This year is a new year for Santana and he is adjusting to his new pitching style. Trust me, he won’t strike out 10 batters a game but he will pitch 8 innings and strike out 3 while keeping that pitch count low. As you get older you learn that pitch count is more important than the actual pitches. He will get a lot more groundballs and he will work early into the counts. Trust me folks, Johan is fine and this year is a big year for him. It all starts with April 5th in Queens. Let’s make the magic happen. You’ve gotta believe! 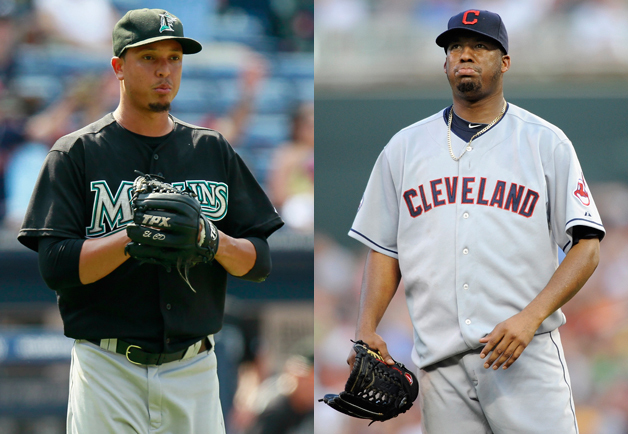 Once Juan Oviedo and Roberto Hernandez — the pitchers formerly known as Leo Nunez and Fausto Carmona, respectively — receive visas allowing them to return to the United States and continue their careers, each likely will be suspended by Major League Baseball for up to six weeks, sources familiar with the cases told ESPN’s Pedro Gomez. The suspensions for Oviedo, a Miami Marlins reliever, and Hernandez, a Cleveland Indians starter, are believed to be part of negotiations between the U.S. State Department and MLB. Both pitchers have remained in limbo in their native Dominican Republic since it was discovered that each used a false identity and false age when they signed more than a decade ago. Once the players are allowed to return, they would be allowed to participate during their suspensions at the respective extended spring training facilities of their big league clubs — Oviedo at the Marlins’ facility in Jupiter, Fla., and Hernandez at the Indians’ facility in Goodyear, Ariz. The players have been volunteering their time in the Dominican, doing community work with young prospects and imploring them not to take the same route they did when they falsely used others’ identities.